Colombia, Ivory Coast and Japan could all realistically make long runs in the tournament. Whatever team wins Group D (England, Uruguay, Italy or Costa Rica) surely doesn’t want any part of the runner-up in from this group in the knockout stage. Colombia, the seeded team, is and should be the favorite to advance. It is an exciting, attacking side with the potential to do some major damage in the knockout stage of the tournament. However, Radamel Falcao, the country’s top striker and one of the world’s best finishers, failed to recover in time from an ACL injury this season and will miss the Cup. With him, the Colombians were a semifinal threat. Without him, the ceiling is a bit lower — but not too low. The pantry isn’t bare for manager Jose Pekerman, who led Argentina to the quarterfinals in 2010. Forwards Teofilo Gutierrez (River Plate) and Jackson Martinez (Porto) are exciting and lethal finishers in their own right, and midfielder James Rodriguez (Falcao’s teammate at Monaco) can ably carry the creative burden in midfield. The big question mark for the Colombians is whether they can defend. They will score goals, but can they stop enough to make a long run? Always a bridesmaid, never a bride. Despite having one of the most talented rosters in all of Africa, the Elephants have been drawn into impossible groups in each of the last two World Cups. They failed to advance in both. Can this year be different? The Blue Samurai, the first team to qualify after hosts Brazil, have a big advantage in this group: Recent experience advancing past the group stage (in ’02 and ’10). In 2010, they came within a penalty shootout of the quarterfinals. 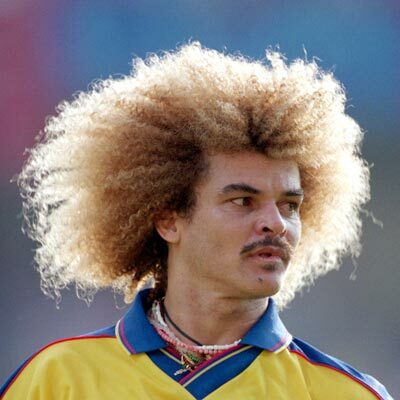 Only Colombia has played a knockout-stage game, and that was back in 1990. Any and all advantages could be important in a group this wide open. On the field, Japan is a confident, technical, fit and organized team led by midfielders Shinji Kagawa (Manchester United) and Keisuke Honda (AC Milan). Those two were underused at their clubs last season and should be healthy and ready to prove themselves. Makoto Hasebe, the captain, is the team’s engine in midfield operating behind the attackers. As with the Ivory Coast and Colombia, the defense (of course) will need a strong performance to survive this group. While the other three teams are stocked with attacking potential, the Greeks have the opposite problem. All they seem to do well is defend. Since the shocking success in winning the 2004 European Championships, that reputation has been impossible to shake. Coach Fernando Santos has tried to bring a flowing attack to the squad but has seen mixed results. During qualifying, Greece managed just 12 goals. Of course, being Greece, they allowed only four goals. Defender Sokratis Papastathopoulos and captain Giorgos Karagounis form the tough-to-breach spine of the defense. Kostas Mitroglou will be relied on to carry the goal-scoring load, but he struggled after a January move to the now-relegated Fulham in the English Premier League. The Greeks are an anomaly in this group, and their ability to prevent goals could prove useful and potentially upsetting to the favorites. Shinji Kagawa (Japan): The underused Manchester United midfielder is a joy to watch navigate in tight spaces and is the main creative force for a very technically gifted Japan squad. He had ups and downs this season with former United manager David Moyes, who often didn’t know how to use him, but Kagawa is capable of some magical things with a soccer ball. Yaya Toure (Ivory Coast): While forwards Drogba and Gervinho get a lot of the spotlight, the burly midfielder is one of the world’s most influential players for one of the world’s biggest clubs, Manchester City. He’s the best player in this group — and that would be true even if Falcao had been around. A man of his size and strength has absolutely no right to be as fast or crafty with the ball as he is. Why did City win the EPL this season? Look no further than Toure. He refused to let them fall short. James Rodriguez (Colombia): Blessed with exceptional vision and a deft touch, Rodriguez has drawn favorable comparisons to another Colombian midfield legend: Carlos Valderamma. In fact, Valderamma in 2011 anointed Rodriguez his heir apparent. Not his hair apparent, Rodriguez isn’t blessed with a the same follicle advantages. He should be very, very high on the list of guys who might become your new favorite player to watch after this summer. The winner of this game has the inside track for the second spot behind Colombia.